My fingers feel itchy. As a mother of three children under five, this is a bit unexpected. It is not as though my hands stay idle for long – there is always something to attend to. But this is different. This is the desire to work on a project that allows for completion. I have noticed as a mom, it can be wonderfully satisfying to dive into something, other than dishes or diapers, that has a beginning, a middle and, thankfully, an end. Over the last year, this quest to find something to quell the itch in my fingers has covered a number of areas, from learning to preserve foods through pickling and canning to my newest endeavor, sewing. It is not that I am trying to win the star of Molly Homemaker, but rather, I see that these types of projects have a timelessness. They have been around for ages and are activities that our mothers’ mothers had available to them as well. Moments in time that are both productive as well as soul satisfying. 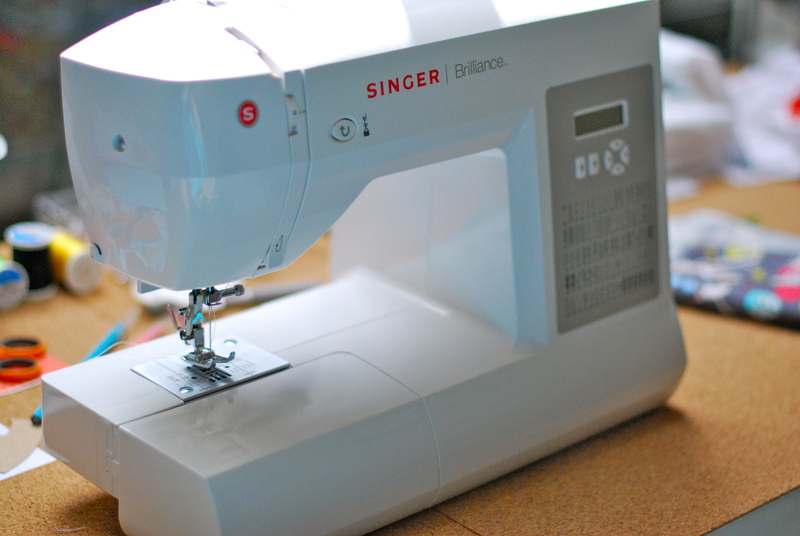 About a month ago I broke open the box of my new Singer sewing machine. It had stood in the corner of our house for about a year and a half silently mocking me, or possibly just waiting for the right time to be discovered. This was something I bought myself at Costco, on a whim, for Christmas; on some level knowing that there would be a time when I would find space (in house and head) for this new craft. My intention was that I would teach myself to sew and that I would love it. During my pregnancy, in addition to getting the nursery ready, the area of house that we chose to “nest” was the creation of a laundry / project room. I consider this new space my office and am so excited to have it. My tendency to leave projects rolling (read: messy) is something that can drive my husband crazy, so I believe that the evolution of this room was for his well being as well as mine. It is amazing to me how sometimes things just come together and work. My little Singer and I are getting to know one another in my new room and are developing a beautiful relationship. I do love it. Sometimes I can only turn it on for a moment or two before there is a wailing cry from another room, but even that is enough to feed my soul… for now. Now, onto a new project to help these itchy fingers! So true! Beginning, middle, end. It’s not easy to come by with little ones. I have a lot of “almost” in my life: http://definingmotherhood.wordpress.com/2012/04/03/almost/ I’m very excited to see/hear/read what project you find to satisfy your itchy fingers. I love your post on “almost” – it is absolutely the way we live!